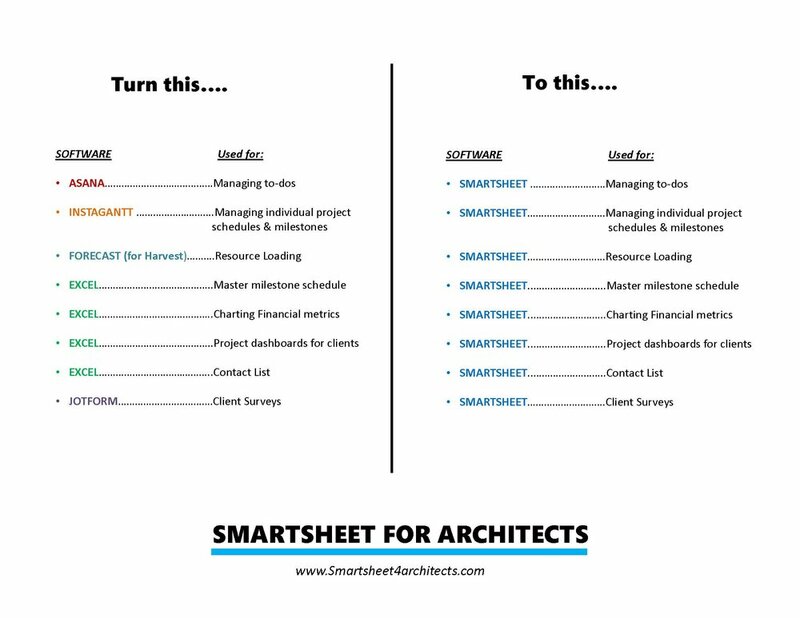 The Smartsheet for architects Course is now on Teachable! to streamline your project processes, manage your business development goals, get a better view of your financial metrics and more! How much time will it take to setup? We've designed the course to be completed in pieces. We recommend blocking off 1-2 hours at a time to progress through the videos and set up your company as you go along. Do I have to pay for Smartsheet to take the course? You don't have to buy Smartsheet to complete the course but you will need to sign up for the free trial. We recommend signing up for the free trial when you're ready to take action on the course so that you can test drive the course and the software at the same time. If you implement the course during the 30 trial you'll have a good sense of if you'd like to continue with Smartsheet or not. If you decide to continue with Smartsheet you'll need to purchase the Business Plan to retain access to the dashboards and reports. How much is the additional monthly cost to implement this system? There's no monthly subscription cost for the course but there is a monthly cost for the subscription to Smartsheet. Pricing will vary depending on which Smartsheet version you use. To get access to the dashboard functionality we recommend you buy the lowest level of the Business version of Smartsheet. Since you can have unlimited free collaborators AND you can change the licensed users at any time it's unlikely you'll need more than 3 licensed users. No. But it will show you how to use the software to aggregate of all that information. Is Smartsheet paying you to do this? Not exactly. We'll receive a small referral fee if you sign up for Smartsheet through our referral link - but that's the extent of it. We're doing this to share a tool that has helped us immensely in hopes of helping other small firms. We love sharing tips, tricks & best practices for Architecture Project Management. Interested? Sign up for our mailing list so we can stay in touch! As a welcome to the list you'll receive a modified Excel Version of AIA D200: Project Checklist. Good move! Check your inbox. Use our referral link to signup for your free 30-day - click here. Dig into the Smartsheet help videos to get started - click here.